The cloud directory space has been heating up as of late. With what seems like an endless number of alternatives to Active Directory® (MAD or AD) emerging, one particular area of interest for IT admins is the comparison of JumpCloud® Directory-as-a-Service® platform vs AWS® Directory Services. Before we look at JumpCloud vs AWS Directory Service, we should look at how the identity management realm has evolved. If you were to look back in time at the traditional office space, you would find a whole slew of Windows® products. This in turn made Active Directory the on-prem directory of choice, due to its seamless integration with Windows resources. Nearly a decade ago, however, we saw the first generation of IDaaS, or Identity-as-a-Service, platforms emerge. Known as web application single sign-on solutions, these resources worked very closely with AD in order to extend on-prem identities to the resources Active Directory couldn’t integrate with as easily. While this may have worked at the time, the IT landscape is constantly evolving and we’ve started to see the repercussions of building on top of an antiquated directory service. 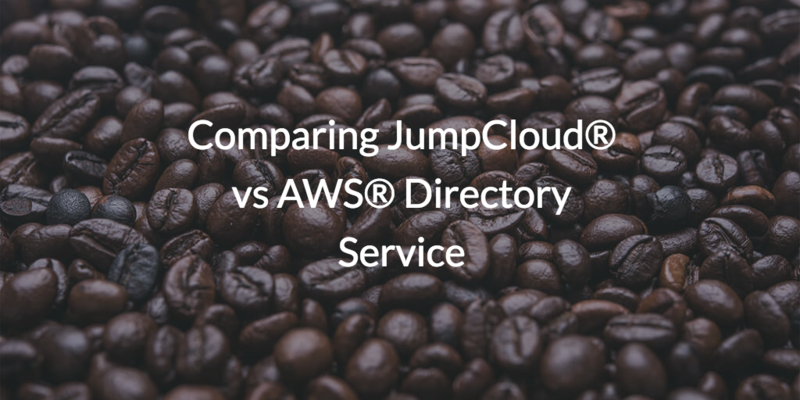 Interestingly, the comparison between JumpCloud vs AWS Directory Services is really a comparison between JumpCloud and Active Directory, since AWS’ core directory services offering is simply a hosted AD instance. Now, AWS does have what they call Simple AD, which is essentially Samba under the covers, but their primary focus has been on reselling Active Directory to their customers. It is important to understand the use case here with AWS. Their goal is to increase the utilization of their infrastructure and enabling IT and DevOps organizations to extend their existing identity infrastructure to their cloud offerings. Because most organizations leverage AD as their on-prem identity provider, AWS saw it tactful to simply build a compatible stack in their cloud. This made a lot of sense from their perspective, a user management tool for AWS Windows servers. However, this made AWS Directory Service a nonviable or less viable solution for Linux®, Mac®, or any other non-Windows resources as well as resources not located at AWS. The use case for JumpCloud is really quite different. For organizations that are looking for a next generation directory service to integrate cloud, on-prem, and remote users and IT resources, JumpCloud provides a cloud hosted directory service. 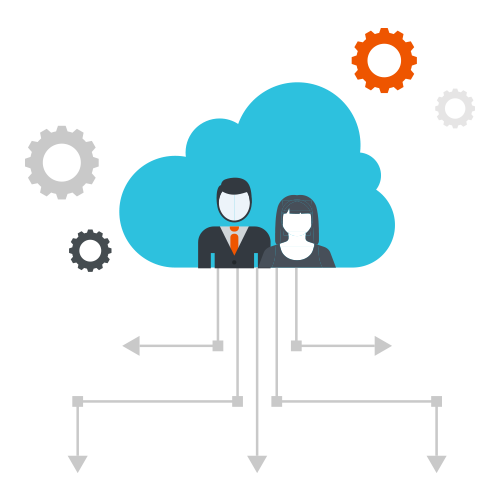 This modern approach to cloud identity management is centralizing identities and connecting them to systems (Windows, Mac, and Linux), cloud and on-prem servers (e.g. AWS, GCE), web and on-prem applications via LDAP and SAML, physical and virtual file servers (i.e. Samba based appliances), as well as both wired and WiFi networks through RADIUS. A reimagination of Active Directory in the cloud, JumpCloud can operate not only for Windows machines, but Linux® and Mac® also. Through True Single Sign-On™, JumpCloud can take an identity and connect it to AWS Linux servers via SSH keys, G Suite™ via SAML SSO and OAuth, WiFi via RADIUS, and much more. 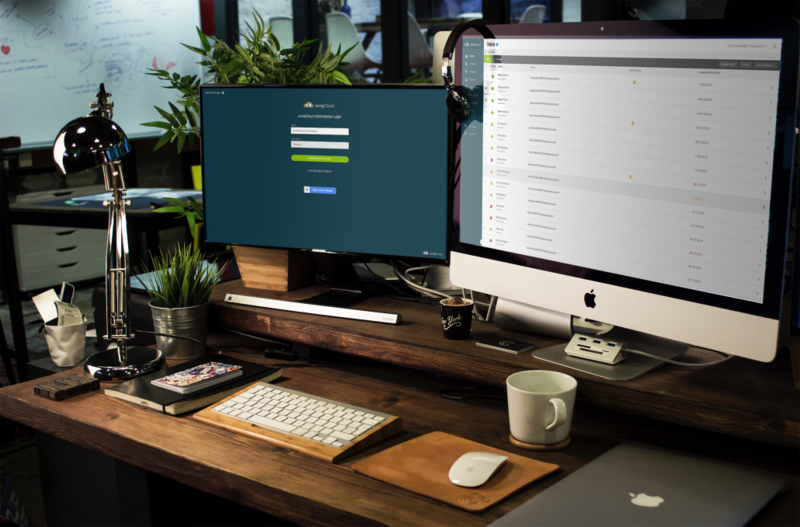 Pushing deeper into system management, jumpCloud implements cross-platform GPO-like capabilities, multi-factor authentication (MFA), hosted LDAP, and more. After seeing the side by side comparison of JumpCloud vs AWS Directory Service, if you’re interested in seeing JumpCloud’s IDaaS platform and its cross-platform capabilities, sign up today and experience the full functionality for yourself – your first 10 users are free forever. You can also demo the product before signing up, to make sure the service is right for you. We welcome you to contact us with any questions as well.